Finally, the US Army has selected Alliant Techsystems to develop a future infantry rifle called the Objective Individual Combat Weapon (OICW). This is planned to combine 5.56mm and 20mm weapons in a gun no heavier than the current 5.56mm M 16 rifle with M203 grenade launcher. By means of extremely sophisticated but highly automated sighting and computing systems, the low-velocity, low-recoil 20mm ammunition can be set to air-burst over a target at a range of up to 1,000 metres, although impact and delay modes are also available. The effect is a claimed 500% improvement in effectiveness over the M16 at 300m. 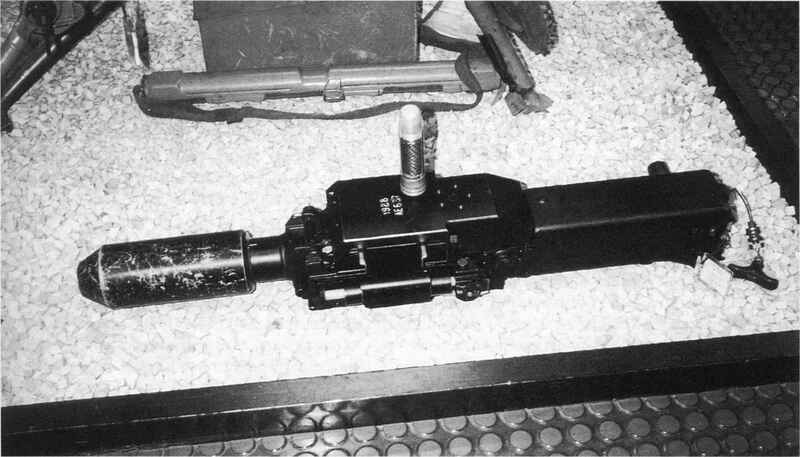 Not surprisingly, the concept has already prompted the development of a fully automatic light cannon, the 25mm Objective Crew Served Weapon (OCSW).